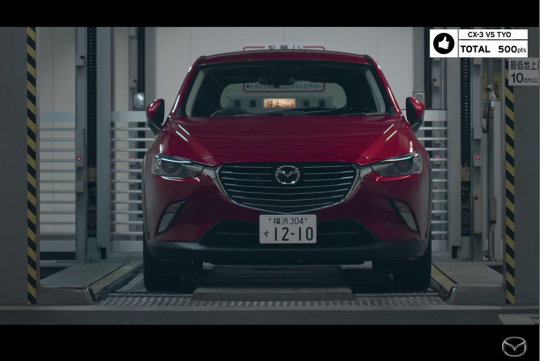 Mazda UK has just released a short clip of its new Mazda CX-3 in its natural habitat, Tokyo. Shot beautifully, it shows us how well the small crossover would fit into Tokyo with its features, such as blind spot monitoring, heads-up display, emergency brake assist, all-wheel drive and its adaptive front lighting system. We believe we are unlikely to get all the features shown in the video especially the all-wheel drive system. The rest might make it through hopefully! Based on the Mazda2 hatch, the car could arrive on our shores with a 2.0-litre 118bhp petrol engine or a 1.5-litre 104bhp diesel engine and will face Honda's HR-V/Vezel, Nissan's Juke and Renault's Captur head on. Think you typo, should be 118kw if it's the same engine as the Mz3. Anyway it's a direct competitor of the Juke More than the Vezel or Qasqhai. Nope, it is not a typo. The 2.0-litre unit that puts out the 146bhp that you mentioned comes with a lower-powered 118bhp variant too and is being offered in other parts of the world. We have no idea which of the petrols we will be getting though. I mentioned the lower-powered variant of the 2.0-litre because its direct competitors all have engine outputs around the 120bhp mark. That said, the 1.5-litre diesel will be the most logical engine variant that will make it here given that it falls right into our CAT A COE regulations. Yes, you are correct, this is a small crossover. The Vezel/HR-V is a direct rival to the CX-3 given that both SUVs are based on their hatch counterparts, the Honda Jazz and the Mazda2. The Qashqai is actually one class higher. You can read more about the Qashqai here with its rival and see how it compares with them!